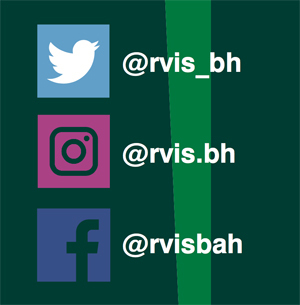 RVIS also strives to blend the culture of Bahrain with the culture of an international school. 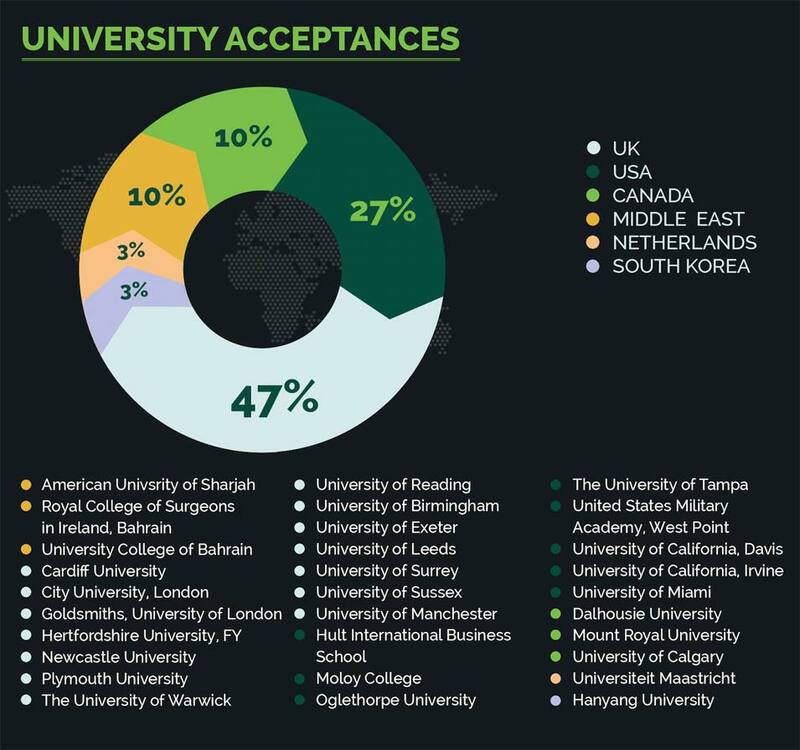 The students who attend RVIS, graduate with a world class education and an appreciation for local culture. RVIS offers a rigorous American Curriculum in the Kindergarten through grade 10. 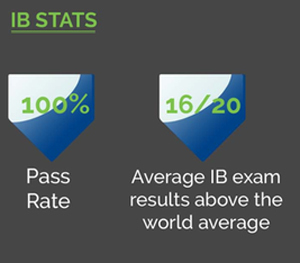 The program helps prepare high school students for the IB Diploma Program in the 11th and 12th grade. 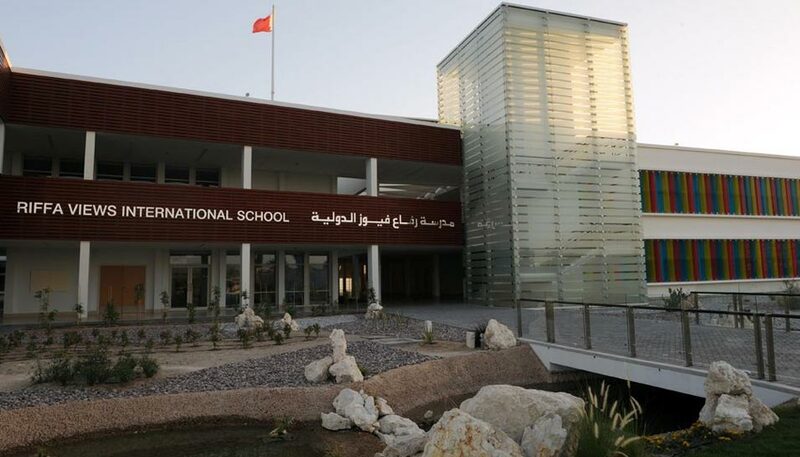 Riffa Views International School is a non-profit, international college preparatory school in the Kingdom of Bahrain, committed to implementing the best educational practices from around the world, while being sensitive to local culture values. We strive to be a community of learners engaged in becoming intellectually adept, technologically proficient, and ethically guided contributors to a global society. With our highly-qualified faculty and student-centered approach, we are preparing our students for future success and accomplishments. 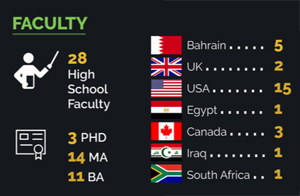 The faculty of RVIS has been carefully selected from around the world. We aim to specifically recruit teachers with prior experience of teaching in North American curriculum schools. RVIS is committed to providing organized, ongoing professional development programs for its teacher to ensure that innovative and up-to-date educational practices are continually made available to the children of RVIS. The majority of teachers possess either a U.S. or Canadian teaching certificate, and all have attained a Bachelor’s, Master’s or Doctoral degree. Brain research has indicated that male and female brains are wired differently and therefore acquire knowledge more effectively through different approaches. Research has also indicated that males and females are predisposed to different interests as they develop. At RVIS we take this research into consideration when teaching and planning curriculum, in order to maximize student learning. We also believe that a crucial aspect of development is learning through interactions with the opposite gender. 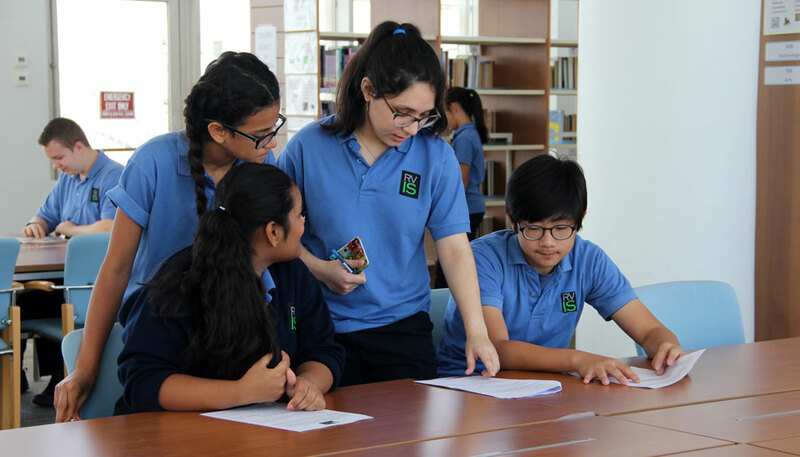 For this reason we emphasize the co-educational setting in non-academic area such as: lunch time, passing periods, assemblies, and school trips. This together-apart model allows our students to experience the best of both worlds: a learning environment that is tailored to genetic dispositions while enjoying an environment that allows for a broader, more diverse peer network. Our world class facilities demonstrate the school’s commitment to excellence in every aspect of student education. 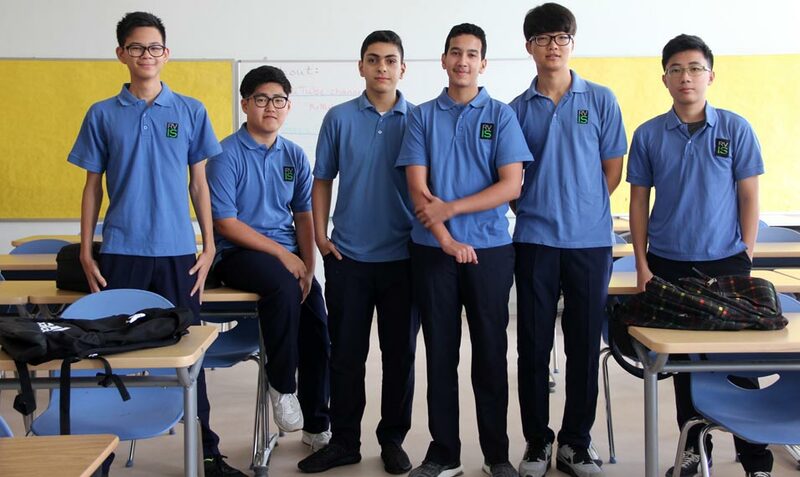 Al Hutaim Transport Company has been in Bahrain for 11 years and has an outstanding reputation within the Riffa Views International School (RVIS) community and the the country of Bahrain. Al Hutaim has been providing RVIS’s transportation for 9 year, and continues to provide excellent, safe transportation for the students at RVIS. In order to be a driver for Al Hutaim, each driver must go through a rigorous background check and have a clear driving record. As part of a new endeavour with RVIS, Al Hutaim is hoping to expand its services to the Eastern Province of Saudi Arabia in order to help RVIS families living in Saudi commute across the causeway each day. Vehicle - Al Hutaim will be providing a dedicated vehicle for our families traveling from Saudi. The vehicle will either be a van or SUV, depending on the number of interested families. Each vehicle will also be equipped with an i-track system, which tracks the car by GPS and regulates the maximum speed. Time - The daily commute averages about an hour each way. Students who attend RVIS will receive a student pass, which allows them to expedite the causeway traffic both to and from school. Drop off and Pick up - There will be a dedicated spot outside of the Aramco Camp where students will be picked up each morning and dropped off every afternoon. This location/s will be decided by Riffa Views International School and Al Hutaim in consultation with Saudi Aramco. At RVIS, we believe that a crucial part of a student’s education is learning to give back to the community. For this reason, service opportunities are integrated into our curriculum and graduation requirements. Throughout our students’ high school years they have the opportunity to engage in a variety of service project. Whether they are renovating a house in a nearby neighborhood or helping a school in Sri Lanka, RVIS students are working to make the world a better place. Feed the Need Bahrain- An organization that started in Saudi Arabia to help feed the needy. Refrigerators are placed in targeted areas and filled with non-perishable food. Community Art Project with the Bangladesh school. The students of both schools painted tiles to create a mosaic which is displayed in our school cafeteria, as well as the Bangladesh school. Students traveled to Sri Lanka to support a local school in need and also witness how a healthcare system functions in developing countries. Housing Renovation Project was a local project where students helped raise 10,000 BD to help renovate a home for a family in need. The students not only raised money, they also helped onsite by painting, cleaning and putting in tile.